How Much More Does Medicare Cost (IRMAA) for “High-Income” Recipients? Q: Are Social Security claiming ages different for widows or divorcees? Q: Can I pay back Social Security benefits I collected between ages 62-70 and then get a higher payment as if I had never collected? A: You can only do this within 12 months of filing for benefits. You used to be able to do so anytime prior to age 70. Lots of financial advisors talked about this possibility, but few people actually did it. In any case, this option was eliminated in 2010. Q: What happens to Social Security spousal benefits in the case of divorce? A: If you were married for 10 years and are not currently remarried, you can claim benefits on your prior spouse’s record. In this day and age, it is not uncommon for two or three people to be claiming spousal benefits on one person’s work record. Q: What if my spouse died prior to collecting Social Security benefits? A: You must have been married for nine months in order to collect spousal survivor benefits, and you have to wait until you are at least 60 years old to begin collecting (unless accidental death or caring for a child under the age of 16). Q: If I get married, am I immediately entitled to Social Security spousal benefits? A: You must be married for one year before you are entitled to spousal benefits. Q: Are Social Security spousal benefits reduced by the same amount for claiming early? A: No. 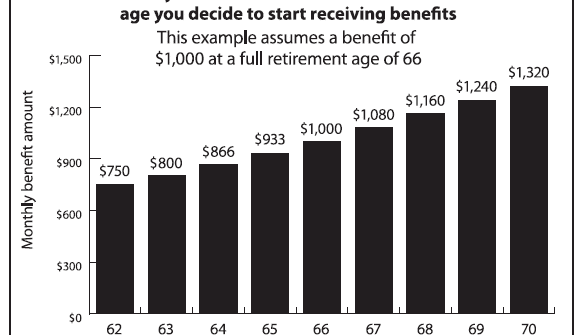 Claiming your own Social Security at age 62 reduces your monthly benefit by 25%. However, claiming spousal benefits (at age 62) results in a 30% reduction or .625% for each month prior to your full retirement age.